Acne is a disease very often seen in clinical settings and it is a chronic inflammatory disease that cannot be cured by one-time treatments. Acne most often develops during puberty, but it can occur even in adults after 40 years of age. There is a variety of causes of acne and a large range of available therapies making it very hard to identify the right therapy for each individual patient. Yong-Ho Hwang, the President of Welskin Clinic, who is also very active as the Director of Scientific Affairs at the Korea Aesthetic Surgery & Laser Society, is starting a series of articles on the recent advances in acne treatment based on clinical examples. Acne is a chronic skin disease that has a very high recurrence rate even after treatments by many types of therapies. Without proper treatment, it may leave permanent scars on patient’s face. However, even in cases of serious acne, patients are often not willing to take medication. Especially when medications, such as antibiotics or isotretinoin, are prescribed, many patients do not wish to take them, thinking that they might cause serious side effects. Some patients do not even use the prescribed ointment, which is an essential part of maintenance therapy. The majority of patients say that this is because they are worried about the medications. That is why the treatment using this method is especially useful for this kind of situation and for patients who want to cure their acne but do not wish to take medications. There are various therapies for treating acne: basic management, such as simple extrusion, scaling, and peeling, as well as spiculing, 1450nm laser, IPL, PDT, high frequency therapy, etc. 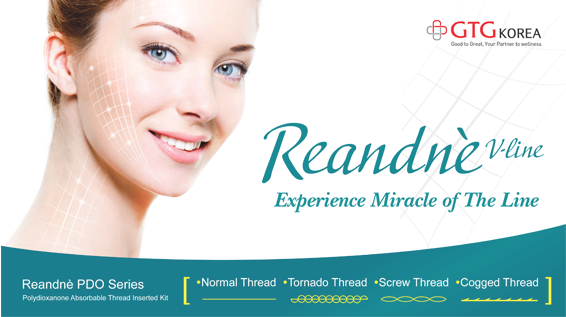 Most of such treatments provide only temporary relief or can be considered only as skin care, but there are therapies that show long-term effect after only a one-time procedure. The representative examples of these methods include the PDT and high frequency therapy. The acne PDT is a procedure that kills the p. acnes bacteria and destroys sebaceous glands by first applying a photosensitizer to the skin and waiting for it to be absorbed, and then irradiating the skin using suitable wavelengths and inducing reactive oxygen species (ROS). Fig. 1. The principle of PDT. PDT is considered a therapy with frequent utilization in clinical settings because it leads to correction of the pathogenic factors of acne while having no serious adverse effects. The effect of PDT therapy varies depending on the treatment received before the procedure, on the type of photosensitizer and light sources used, on application methods and time. In this part, we will briefly explain the features of different types of photosensitizers. The list of widely used photosensitizers includes ALA, MAL, IAA, and chlorophyll. This is the most basic photosensitizer used for the PDT therapy. In 1990, it was found that when ALA is injected into peritoneal cavity of mice, after time, excessive amounts of porphyrin become accumulated in the animals’ sebaceous glands. This experiment has shown that ALA can be used to treat skin diseases associated with sebaceous glands. After this, a research paper with the message that ALA used for acne treatment can bring long-term therapeutic effects was published and ALA has become widely used for the PDT treatment of acne.